Mr. Nuwash was born Feb. 24, 1930, in Cokato, the son of Henry and Florence (Harkman) Nuwash. He was baptized and confirmed at the Czech Brethren Presbyterian Church in Silver Lake. 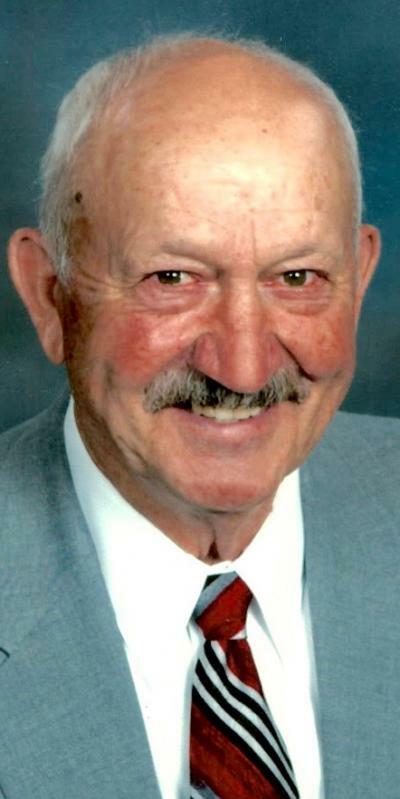 He gradauted from Silver Lake High School in 1948, and enjoyed participating in basketball, football and other activities. He then attended the School of Agriculture at the University of Minnesota for two years. Mr. Nuwash honorably served his country for two years in the U.S. Army in Panama during the Korean War. On Aug. 13, 1956, Jack Nuwash and Carol A. Grochow were joined in holy marriage at The Little Brown Church in Nashua, Iowa. God blessed their marriage with three children. Mr. Nuwash farmed for many years and also worked at Natrogas in Silver Lake for 35 years. He was a faithful member of Faith Presbyterian Church in Silver Lake. He belonged to Silver Lake American Legion Post 141, Silver Lake Sportsman’s Club and the McLeod County Historical Society. He formerly served on the Silver Lake School Board and the creamery board. Left to cherish his memory are his loving wife of 61 years, Carol A. Nuwash; three children, Kathryn (Greg) Palmquist of Grantsburg, Wisconsin, Robert (Joy) Nunvar of Silver Lake and Bruce (Rebecca) Nuwash of Hemphill, Texas; nine grandchildren, Anne, Carl and Claire Palmquist, Ivy, Lily and Anton Nunvar, Courtney Duin (Travis), Brittany (Rory) Engels and Hillary (Aaron) Cooper; one great-grandchild, Talia Engels; sister, Geraldine Dobis of Hibbing; other relatives and many friends.